This week, however, there are signs that North Korea is continuing to improve and expand infrastructure at key nuclear-weapons-related sites, including multiple suspected clandestine sites, and a strategy to deceive the United States about them. And it has yet to raze the Sohae missile test site, as Trump claimed Kim promised to do in Singapore. We shouldn’t be surprised. The Singapore Declaration does not say what Trump claims it says. Kim did not agree to “total” denuclearization, nor did he agree to begin any process “immediately,” “verifiably” or unilaterally. There are major obstacles to progress on denuclearization in the future, too. Here’s why. Trump’s vision for North Korea is yet another one of the 31 flavors of “denuclearization,” a word that can mean anything to either side, and therefore commits them to very little. At times, the Trump administration has insisted that it means North Korea completely, verifiably and irreversibly dismantling all its weapons of mass destruction as well as its long-range ballistic missiles and the means to produce them. But without an agreed-upon definition, North Korea can interpret “denuclearization” in a variety of ways — well short of disarmament or dismantling its weapons programs. In 2005, North Korea agreed to “verifiable” denuclearization of the Korean Peninsula and to eliminate its nuclear weapons. In Singapore, it did not. The order of commitments in the Singapore Declaration matters. The declaration first calls for a normalization of relations between the United States and North Korea, then the establishment of a “lasting and stable peace regime,” and only then does North Korea commit to work toward complete denuclearization of the Korean Peninsula. North Korea has insisted on a step-by-step process. Critically, the Singapore Declaration, and those before it, referred to denuclearization of the Korean Peninsula, not just North Korea. The phrase has long imposed obligations on the United States as well, at the very least, to terminate the “hostile policy” and the nuclear umbrella it extends to South Korea. Kim has no intention of going nonnuclear alone or going first. The next problem is that many of the steps North Korea could choose to take are easily reversible. Take Trump’s recent claim that North Korea has “stopped nuclear research … rocketry … everything they would want them to stop and blew up sites where they do the tests.” First, North Korea can continue serial production of the capabilities it has already tested over the past decade. And even if North Korea destroys existing testing sites, it can easily create new sites or use mobile “pop-up” missile test sites relatively quickly. For example, as many analysts have noted, the destruction of the entrances to the tunnels at the Punggye-ri test site is readily reversible, since several tunnels still remain intact, and new tunnels or shafts can also be dug elsewhere. And, of course, North Korea can expand its clandestine activity, such as enrichment sites, which are difficult to detect without intrusive inspections. A real deal is possible, but difficult to negotiate without verification. Let’s suppose that North Korea and the United States do start a process that resembles at least one flavor of “denuclearization.” The key hurdle, however, is that Kim is very unlikely to allow intrusive verification. This is because of a dilemma at the heart of most arms control deals — one that’s particularly acute for a personalist dictatorship like Kim’s. The United States cannot simply take North Korea’s word that it is denuclearizing — we would need to collect our own independent information from inspections. So, the more verification, the better, right? It’s not that simple, especially for monitoring authoritarian regimes. If inspectors went into North Korea, they would probably see things beyond the scope of an agreement itself, and this information threatens state security. First, monitoring provides greater detail on the scope and sophistication of the known nuclear program and, potentially, secret sites — giving the United States a more complete target set if it wanted to denuclearize North Korea by force. North Korea’s refusal to allow experts to witness the entrance explosions at Punggye-ri is a good example. Inspectors might have been able to collect soil samples that could reveal details about North Korea’s fissile material and weapons designs, giving the United States more information about its nuclear program than Kim would want to reveal. And they could have stumbled on clandestine sites that only they are trained to identify. Second, for authoritarian regimes, agreement monitoring reveals vulnerabilities to both international and domestic adversaries, which could threaten the very survival of the regime. For example, information about the leadership’s locations or means of physical protection could make them easier to target by either U.S. missiles or a domestic coup. There might be creative solutions to this dilemma — such as using a third party like Chinese inspectors to perform verification. But it is far from clear whether either side would allow, or accept, Chinese inspections. Will Trump notice these problems with the Singapore “deal”? A substantive deal will need verification, in addition to defining denuclearization and its steps — otherwise, almost all of North Korea’s commitments are potentially reversible and incomplete. But too much verification could create a cost that North Korea would be unwilling to accept even if it does enter the deal in good faith with intent to comply. Yet Trump may erroneously believe that North Korea has started a denuclearization process — and this belief could prove dangerous. Trump may want to declare victory after Singapore and move on, especially if North Korea does not conduct provocative missile or nuclear tests. 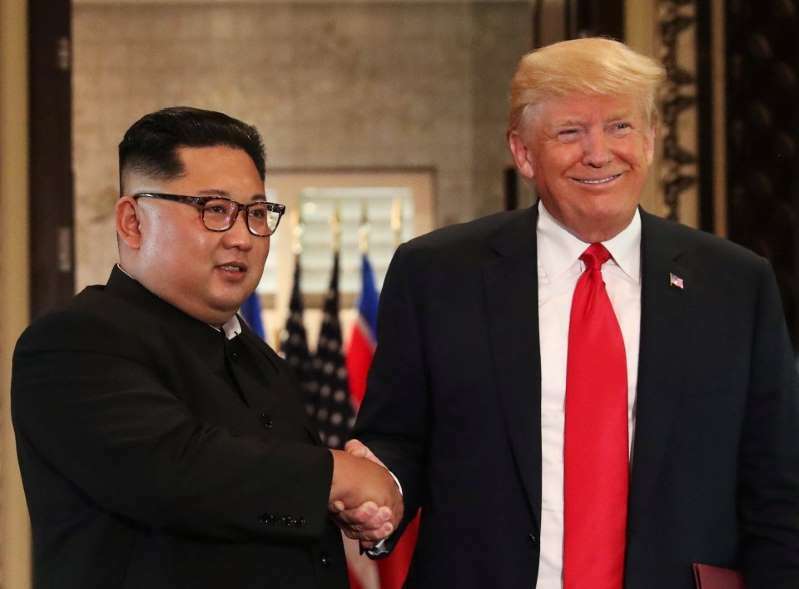 However, if Trump believes Kim agreed to immediately begin “total denuclearization” of North Korea, and feels betrayed when North Korea takes actions that Kim believes are consistent with the Singapore Declaration — but which Trump does not — the temperature on the Korean Peninsula could rise just as quickly as it fell. Jane Vaynman is assistant professor of political science at Temple University. Vipin Narang is associate professor of political science at MIT. World - U.S. Daily News: There are signs North Korea is still working on its nuclear program. Here’s why ‘denuclearization’ is so problematic.